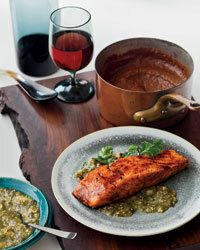 F&W's Grace Parisi translates food deity Alain Ducasse's recipes for mortals. Even in this era of empire-building chefs, Alain Ducasse is a marvel: Since launching his Paris flagship in 1996, he's expanded to 22 restaurants on three continents. That all of them are able to maintain his reputation for impeccable technique and craftsmanship is remarkable, and it's why he's earned more Michelin stars than nearly any other chef. At Washington, DC's Adour, for instance, he turns a rustic root-vegetable stew into a precisely arranged dish that looks like it was plated with a protractor. And for Las Vegas's Mix, he created the Candy Bar, a four-layered pastry-cream dessert that's a two-day project. 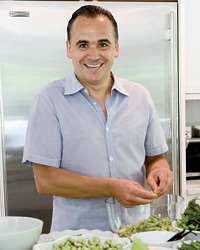 Here, F&W's Grace Parisi adapts Ducasse's ideas into recipes that honor his modern French brilliance. 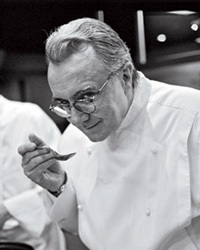 Chef Way Alain Ducasse uses six pots to cook each type of vegetable on its own, then layers them in a baking dish. Easy Way For the simplified version of Ducasse's fruit-and-root-vegetable stew, everything cooks in one big pot. Chef Way Alain Ducasse cooks mussels, then removes the top half of each shell before serving them with haddock and a curry sauce with mussel jus. 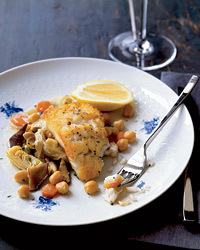 Easy Way Home cooks can serve the mussels with both of their shells and replace the haddock with easier-to-find cod. 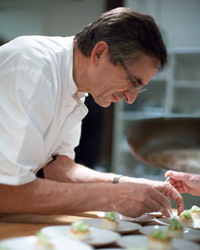 Alain Ducasse's rich dish is great with a fresh, green apple-inflected sparkling wine: NV Jean-François Mérieau Bulles. Chef Way For his labor-intensive Candy Bars, Alain Ducasse makes hazelnut glaze and caramel pastry cream. Easy Way Home cooks can use store-bought ice cream and Nutella for a simple version of Ducasse's Candy Bars.